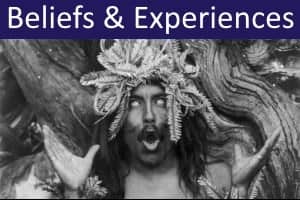 Attempts to investigate psychic abilities such as thought transference, spirit communication, and second sight, go back many centuries. Early methods, however, often suffered from poor observation and flawed procedures that allowed cheating or misinterpretation. Scientifically controlled investigations were pioneered in the nineteenth century by eminent scientists such as Michael Faraday and William Crookes, and by members of the Society for Psychical Research. 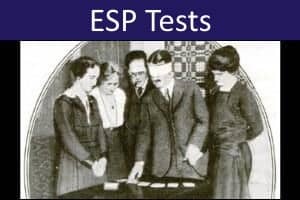 In the 1930s, at Duke University, Joseph Banks Rhine established the world's first laboratory dedicated to formal experimental testing of psychic claims. 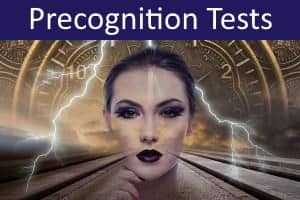 At Duke, J.B. Rhine devised standardized procedures for testing extrasensory perception (telepathy and clairvoyance), psychokinesis (the ability to affect physical objects using mental intention), and precognition (ability to predict future events). 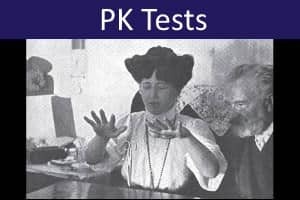 The links shown below allow you to test yourself on a variety of extrasensory perception (ESP), psychokinesis (PK) and precognition tasks. These tests follow accepted scientific protocols (they are not rigged) and you are most likely to score around chance levels. 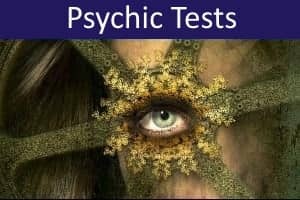 As well as these controlled tests of ESP and psychokinesis, we also include some questionnaires that allow you to assess your paranormal beliefs and experiences. All our tests and questionnaires are entirely free to use. We hope you enjoy them.